What could be a better endorsement of your product’s quality than having some of the hottest companies in tech relying on it? Launched in November, task management software Asana is already being used by Twitter, Uber, Foursquare, LinkedIn, Rdio, NationBuilder, and Airbnb. This week, Asana released a REST API to let customers build custom interfaces and in-roads to its productivity tool. A few examples of what you could build include a desktop app for viewing assigned tasks, or a dashboard for monitoring your team’s current projects. Asana’s product allows teams to assign, collaborate on, and complete tasks in sync such that everyone knows what they and their peers should be working on. If you loathe email, endless meetings, and bloated layers of management and bureaucracy, Asana could be the answer. While the austere gray and white interface can seem drab at first, it’s designed to disappear so you can focus on the task at hand. Disclosure: I’m friends with employees at many companies we cover including Google, Facebook, Twitter, and Asana too. At San Francisco’s Hops & Hominy, Rosenstein beamed while noting, “Asana is becoming the center of people’s work. Over 25% of weekly active users use the product ever single day, Monday through Friday. And 75% of the people who adopt Asana are retained.” He told the story of a Menlo Park biotech company called Emerald Therapeutics started by two of the world’s top scientists whose mission is to “end disease”. Its founders were forced to spend 100% of their time managing the company, but after adopting Asana to simplify coordination, they were able to put 75% of their time back towards science. As the task management space crowds, Asana’s team will need that passion as it attempts to pull ahead of serious new competitors like Trello from Stack Exchange’s Joel Spolsky, and Salesforce’s Do, and displace established collaboration tools like Basecamp and Atlassian’s Jira that are deeply embedded in the workflows of many companies. 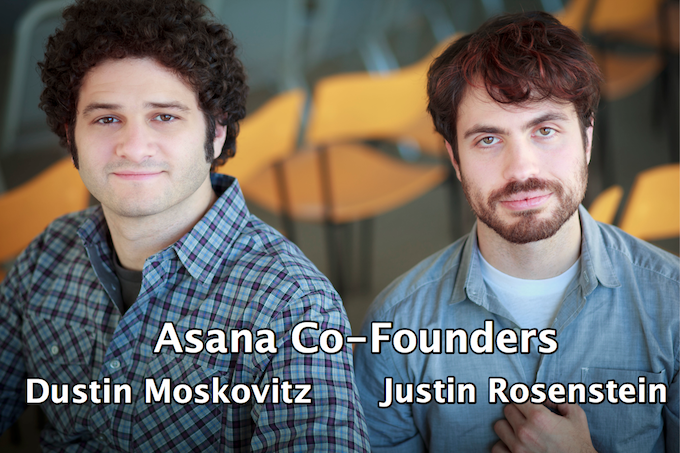 Rosenstein said “The API is the very first step of Asana’s larger platform strategy.” Its graphical user interface is quite minimalist and generalist, but Asana hopes to give developers and customers the power to specialize its tools for different verticals like software development, medicine, or news publishing. For now, the REST API can manage users, tasks, projects, stories, and workplaces. As an example, Asana offers an open source Chrome extension for instantly creating a task from text on any web page. One thing’s for sure: email, while useful, is often the death of efficiency, so it’s exciting to see Asana is slaying that dragon for tech’s top companies. Task management is such a huge problem for so many people that there may be room for multiple solutions, but Asana is setting a quick pace on the path to helping us all reach our potential.